Sock Monkey likes to eat lunch at odd times and locations: at the beach, in the city or in outer space. So he is prepared with this classic tin lunch box with fun beach, city and space graphics. 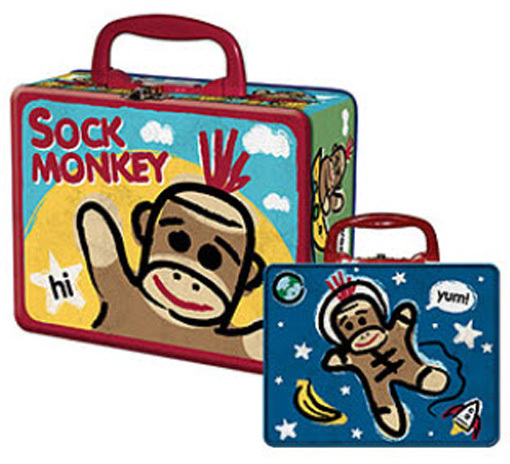 This lunch box is part of the Sock Monkey Series.